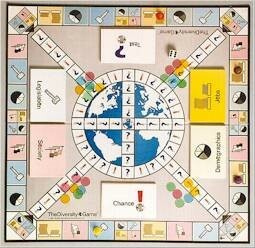 The US Diversity Game and the Global Diversity Game are successful, highly-interactive training tools that use a game board (quiz) format to explore facts and trends about diversity and inclusion covering Demographics, Jobs, Legislation and Society as well as how to effectively lead and manage in a multicultural workplace. The Global Diversity & Inclusion Benchmarks: Standards for Organizations Around the World (GDIB) 2017 by Julie O'Mara, Alan Richter, Ph.D., and 95 Expert Panelists is a tool for helping organizations determine strategy and measure progress in managing diversity and fostering inclusion. 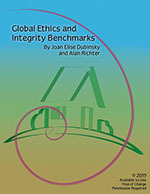 The Global Ethics and Integrity Benchmarks (2015) is a revised tool for helping organizations assess and measure their progress in making a formal and transparent commitment to ethics and integrity in the workplace. Using expert input worldwide, 14 categories in three groups, Foundation, Ethical Culture and Ethical Risk Management, make up the Global Ethics and Integrity Benchmarks. The following articles and chapters were written by Alan Richter, Ph.D., founder and president of QED Consulting. “Building a Culture of Inclusion: The Case of UNAIDS”, by Alan Richter, in Diversity at Work: The Practice of Inclusion, edited by Ferdman, B and B. Deane, SIOP, Jossey-Bass, 2014.